Published by Mountainblog on 07/25/2014 . It’s here, the super soft, breathable, yet waterproof biking shorts. You won’t know it’s waterproof if we didn’t tell you, the inside baker and stretchy fabric make it super comfortable. 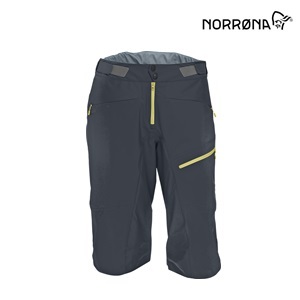 The fit of the shorts is inspired by the original fjora flex1, but the fabric is updated and the seems are smoothly taped. The fabric is still very breathable with great venting options on the side, making this product perfect for the muddy days on the tracks.